But seriously, this challenge is a good thing. The purpose of the #IceBucketChallenge is to raise awareness and funds for a worthy cause, ALS. Amyotrophic lateral sclerosis, also known as Lou Gehrig's disease, is very serious and fatal disease that affects 30,000 Americans. It is a motor neuron disease that causes nerve cells to break down and die. There is no treatment or cure, and victims of the disease slowly lose control of their body. It is not a fun disease. 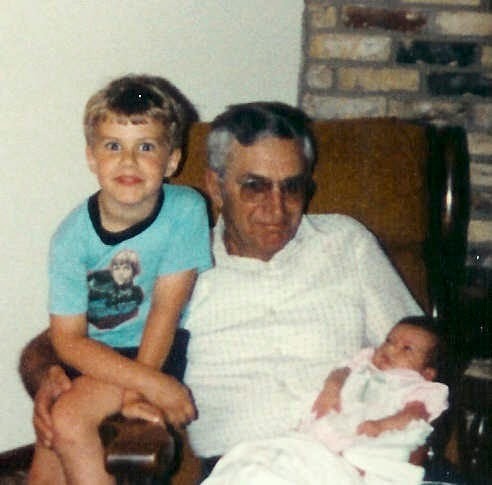 My grandfather, Kenneth Albertson, passed away from ALS in 1985. I remember as a young child, watching him slowly lose his ability to speak, walk, swallow food, etc. It was not pretty. Not enough is known about ALS. The #IceBucketChallenge is helping to raise awareness about a disease that FAR too little is known about. Many theories have surrounded about how the #IceBucketChallenge came to be, and why people are doing it, and whether you have to donate if you do the #IceBucketChallenge, etc etc etc. But does any of that really matter? A disease that gets little attention is becoming part of the national vocabulary. People are now aware of this disease's name, if nothing else, and that's a huge step. Plus, donations for the ALS Association are up $3 million dollars from the same point last year! That's great! Money=research=progress. And for anyone who has seen this disease up close, any step is a good step. Below are some of my friends and my #IceBucketChallenge's. Being performers, some of these are pretty damn funny and feature members of the Bari-Chunk Nation. I hope you enjoy, and maybe consider starting your your own #IceBucketChallenge or donating yourself. It is a good cause.